In the last few years, more and more people have decided to go vegan for ethical, environmental or health reasons. Vegan people often struggle to find a dressing which fits their diet. At L-ORIGINALE we have the solution! In fact, Traditional Balsamic Vinegar of Modena is a completely vegan cheto product. Keep on reading to find out more! Veganism is becoming more and more popular. This particular diet identifies a way of living that wants to exclude all forms of animal exploitation and cruelty, whether for food, clothing or any other purpose. For these reasons, veganism avoids all kind of animal based-products, including meat, eggs, dairy and poultry. Vegans can eat plant-based foods such as vegetables, fruit, seeds, nuts, beans, and grains. Traditional Balsamic Vinegar of Modena is ideal to integrate a vegan keto diet. Not only because it tastes wonderfully on leafy greens or on fruit salads. The product is the perfect vegan dressing since it contains a one and only ingredient: cooked grape must. In fact, the product is made only from grapes. These are crushed to get the juice which is then boiled to reach a 30 % sugar concentration. Then the cooked must must age in wooden barrels for at least 12 years to reach its characteristic color and consistency. No other additives or ingredients other than grape must are used. For this reason, the traditional version of the product undoubtedly vegan. 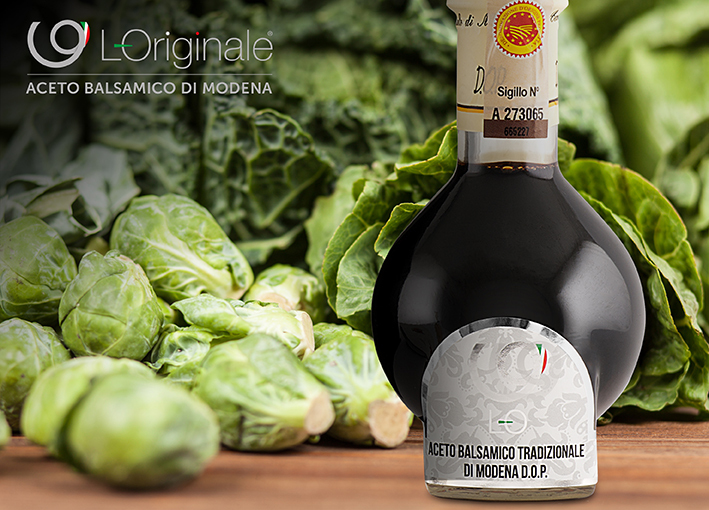 At L-ORIGINALE we care about every single client, that’s why we propose a wide range of Traditional Balsamic Vinegars which could meet the taste also of our vegan consumers and fit their diet. Check our online store to discover the certified products and the blog for many tasty vegan keto recipes!